If you are planning to experience surfing for the very first time, this is the perfect lesson for you! Our group beginner surf lessons will get you standing up and experiencing the thrill and freedom of surfing. Designed for anyone who wants to give surfing a try, our qualified coaches will provide all the basics for good foundations in learning to surf. Ocean awareness and safety, jumping to your feet, and catching that first wave with the emphasis on fun and enjoyment. You'll get that feeling we all know as the stoke! Please note that if less than 3 people are booked in we cannot run the lesson, however, we can transfer your booking to a suitable date. For more information please call 0412950087. At our surf school, we run surf lessons in all weather and surf conditions, rain hail or shine, providing it is safe to do so. If the surf is too big, or completely flat, or if the conditions are unsafe due to high winds or lightning, then we will reschedule your lesson. If we change the time and you are unable to come to the new lesson, then we will provide a credit toward another lesson at a later date. If that is unsatisfactory we may issue a refund at our discretion. If you would like to reschedule a lesson you have booked, we need at least 24 HOURS NOTICE. Failure to give the necessary notice will mean you forfeit the cost of that lesson. Under these circumstances there are no refunds, partial or otherwise. 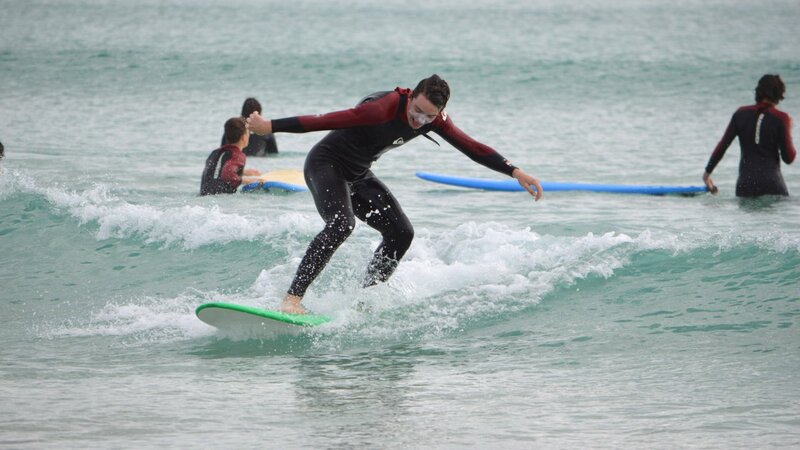 Had a blast surfing in the group lesson and want to progress your surfing further? You can purchase a lesson package and build your surfing confidence. You can do the lessons any time, doesn’t have to be in a row. You just let us know when you can come. Choose a date for your first/next lesson; select lessons and you will be charged at the package rate. We will schedule the remaining lessons at your convienience. No tours available on this day. This day is fully booked.